A gentle yet highly effective polish than can be left on and used for a full body wrap treatment! Leaves the skin with a softer, smoother appearance and provides anti-oxidant renewal. Can be used regularly in or out of the shower. For body, hands and feet. SKU: 294 Categories: Exfoliants, Beauty Through Balance Brands: Beauty through Balance. A creamy skin nourishing exfoliation infused with organic Açai, mineral red clay, Organic Capuaçu Butter from the Brazilian Rainforest & Rosehip seed. A gentle yet highly effective polish that can be used as a body exfoliation and mask treatment on areas of the body that are dry and show signs of environmental damage and signs of age. Leaves the skin with a softer, smoother appearance and provides anti-oxidant renewal. Can be used regularly in or out of the shower. For body, hands and feet. Packaged in a recyclable and bio-degradable tub. Benefits * Advanced Anti-oxidant exfoliation for the body. 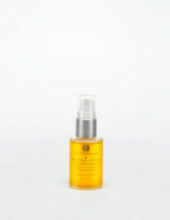 * Heals, nourishes and helps to revive environmentally damaged skin exposed to harsh conditions. * Transforms and restores your body with the rejuvenating power of Acai Berry, anti-oxidants and omega fatty acids from the berry. * Improves the overall skin's tone and texture. * Leaves the skin with a softer & smoother appearance. * Can be used on full body but also feet. 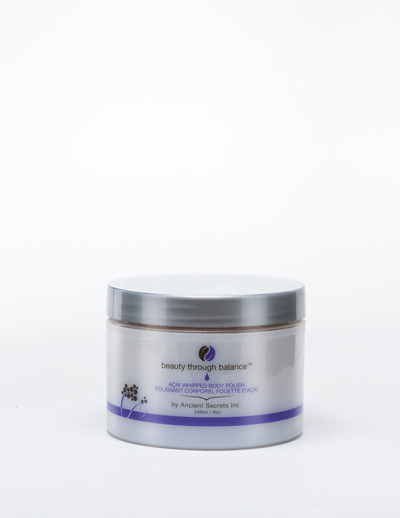 * Helps to replenish lost moisture and draw in anti-oxidant power to repair and restore. Recommended Use Can be applied directly to the skin (wet or dry) 2 to 3 times per week. Apply with gentle exfoliating strokes, leave on for 5 to 10 minutes. Then rinse and pat dry. Ingredients Key Ingredients: Acai Berry, mineral red clay, rose hip seed, organic capuaçu butter & pure exotic essential oils.